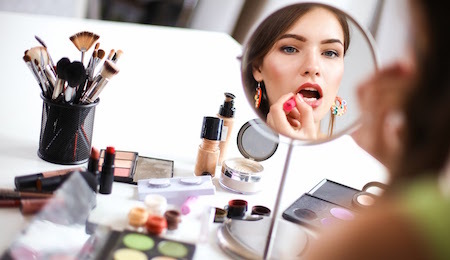 Is Your Makeup Causing You Health Risks? Could the lipstick and foundation in your makeup bag be making you sick? According to the Environmental Working Group’s Skin Deep Cosmetic Database, the average American woman uses 16 products on her skin each day, exposing her to an average of 515 synthetic chemicals daily. Many of these ingredients are associated with health risks. And your face, where makeup is applied, is several times more permeable than other areas of your skin.2 As a result, the chemicals and harmful ingredients you put on your face can impact its health. Of the approximately 13,000 chemicals used by the U.S. personal care industry, numerous ingredients have been associated with hormonal interference. Known as endocrine disruptors (EDC), these substances may affect reproductive function. EDCs have also been associated with cancer risk, abnormal growth patterns, and neurological delays. In addition to these synthetic ingredients, cosmetics may be inadvertently contaminated by heavy metals when colors are added to makeup. Even at “safe” levels, exposure to metals such as lead, arsenic, cadmium, and mercury can present risk with constant use. When the FDA analyzed hundreds of lipsticks, glosses, and other cosmetics, 99% of the products were found to contain lead. This mineral has been linked to learning, language and behavioral problems, as well as infertility and hormonal irregularities. 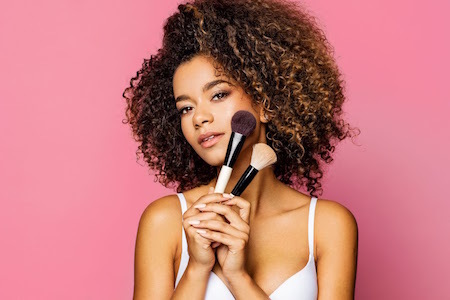 The FDA has suggested the cosmetic industry limit lead in cosmetics to 10 parts per million but non-profit organizations such as the Breast Cancer Fund and the Environmental Working Group support banning even trace elements of lead. Each day in the U.S., the average woman is exposed to over 100 chemicals through personal care products and cosmetics. 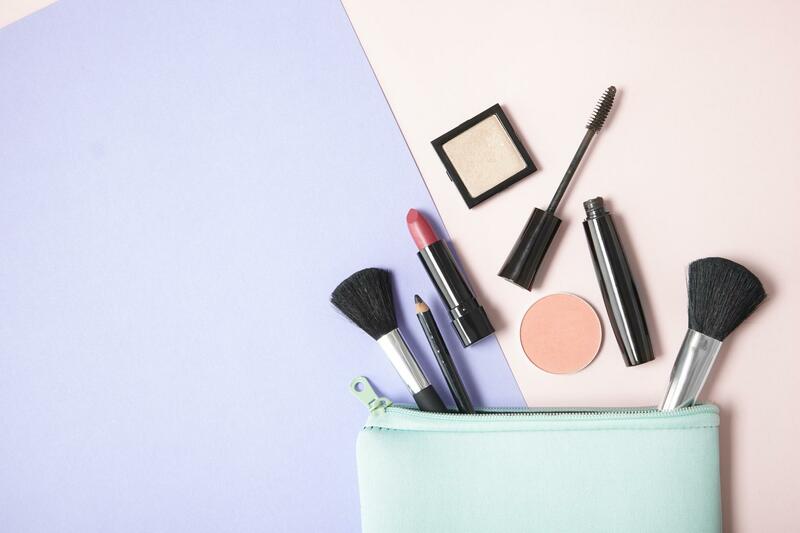 Unlike the European Union, where over 1,300 chemicals have been banned because of safety issues, many of these chemicals are still used by the U.S. cosmetic industry, presenting you with various health risks. At Simple Beauty, we formulate our skin care products without the synthetic fillers and additives found in other products. Avoid exposure to toxic chemicals by choosing our Daily Purifying Cleanser. 1. Brown, H. S., Bishop, D. R., & Rowan, C. A. (1984). The role of skin absorption as a route of exposure for volatile organic compounds (VOCs) in drinking water. American Journal of Public Health, 74(5), 479–484.